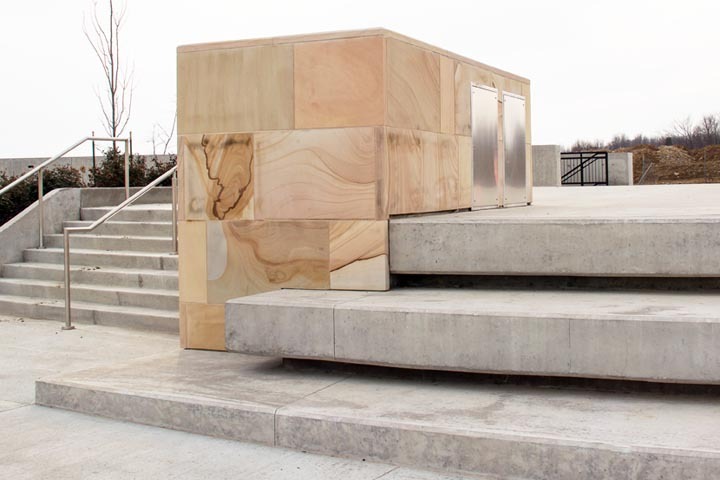 MKSK Studios designed this climbing wall out of our sawed veneer. 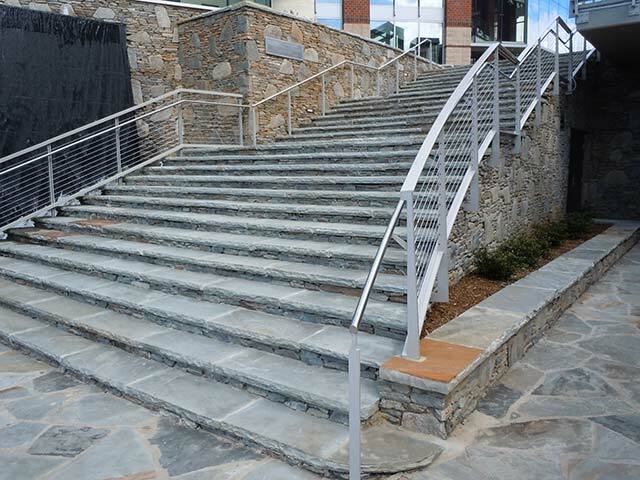 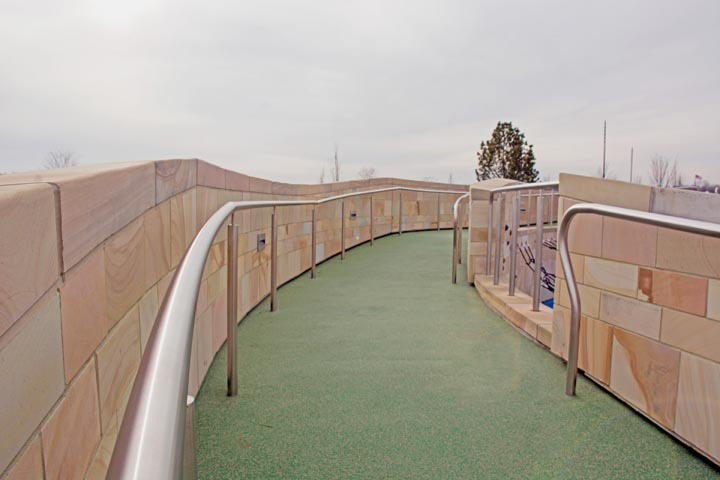 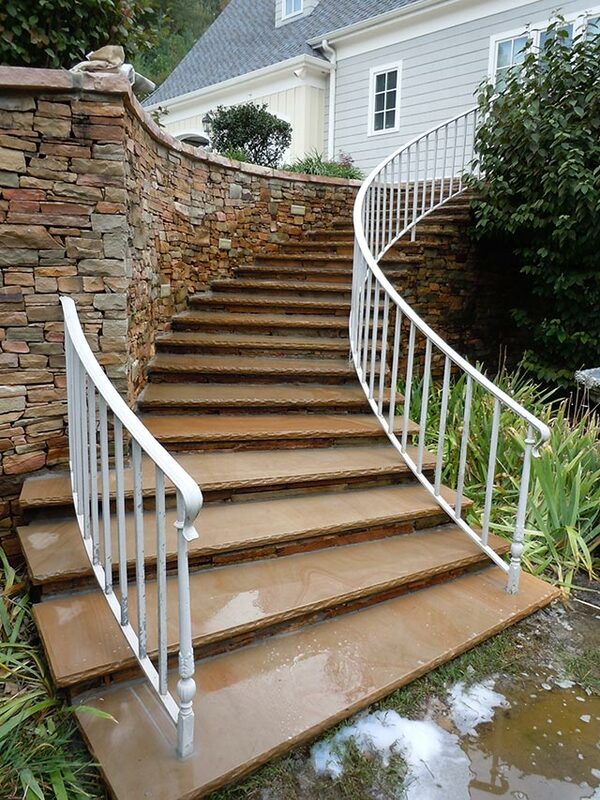 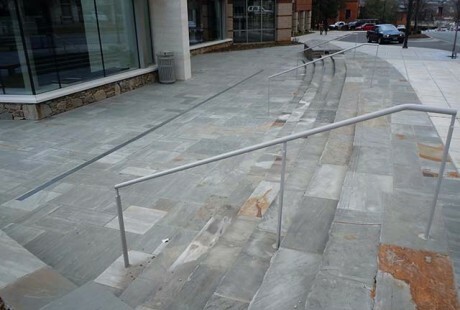  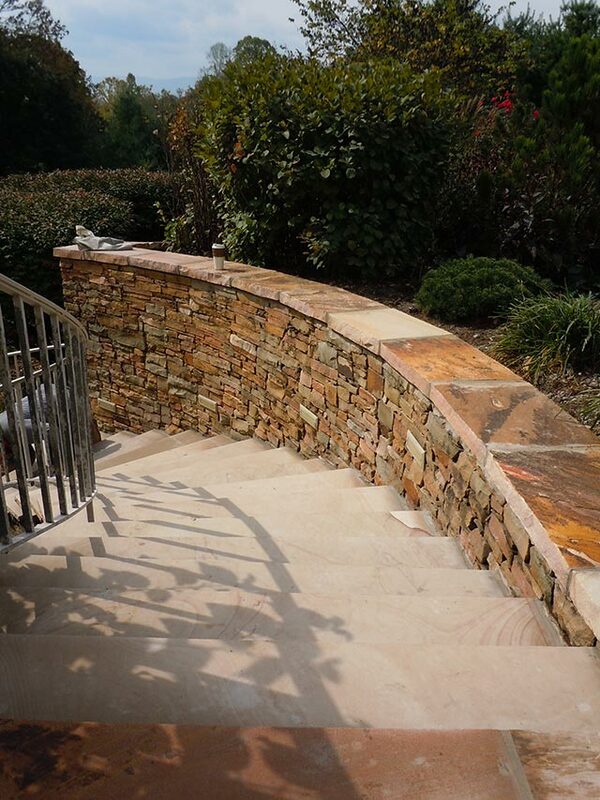 The cap stone presented a challenging fabrication element referred to as a ramp and twist. 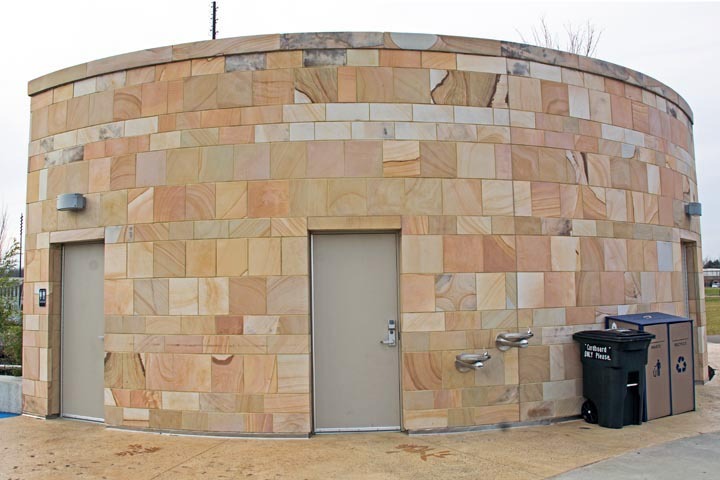 Even the restroom building incorporated our beautiful sawed veneer. 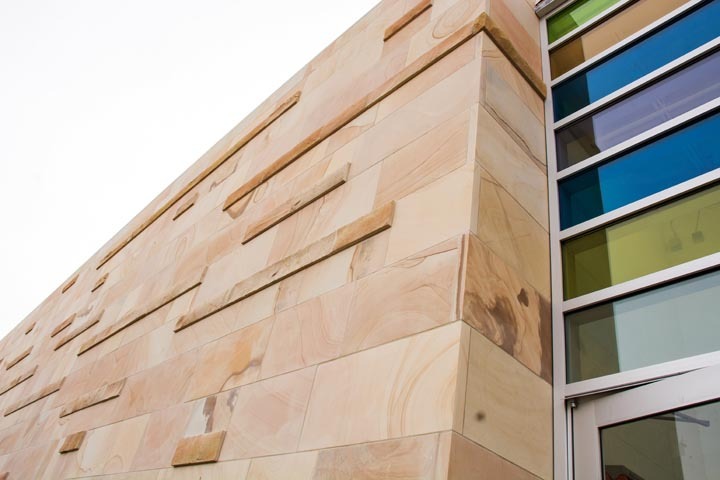 MSA Architects designed a beautiful layout incorporating all 3 surfaces in their main buildings. 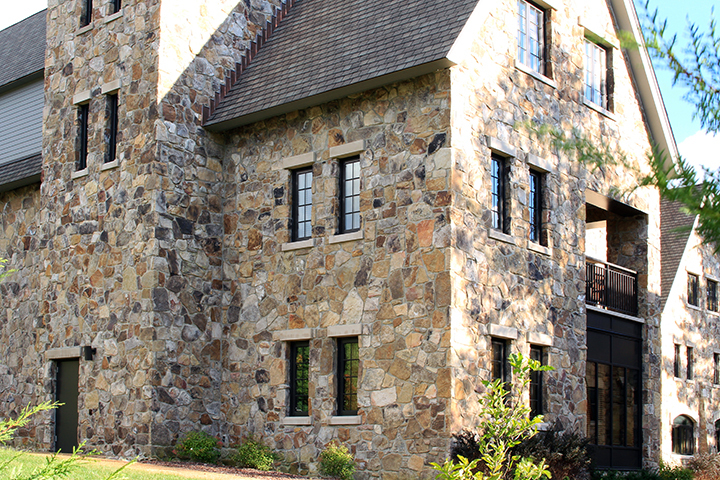 The buildings have a rusticated base course with our natural cleft stone displaying rich, dark color tones. The remainder of the wall is laid with our sawed veneer with a split face rubble accents that gives the wall great depth and accents. 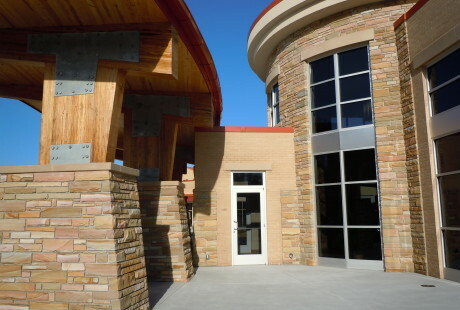 Other than the climbing wall, you will also find Silvara Stone on the Concert Stage, the 2 mirror-image community buildings and the pavilion tower. 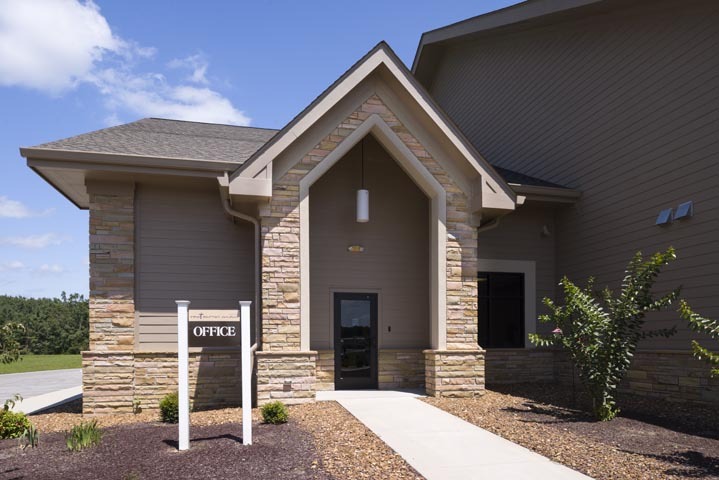 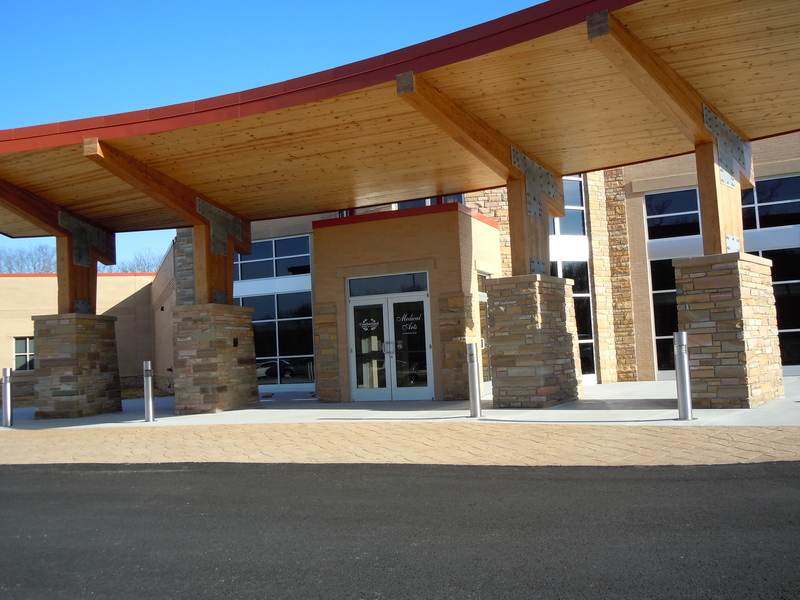 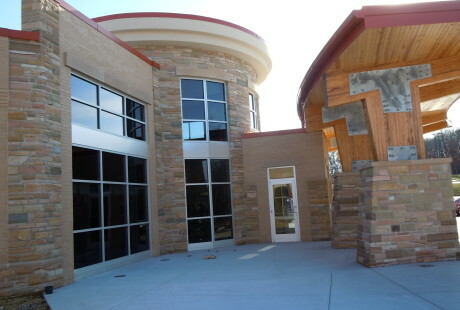 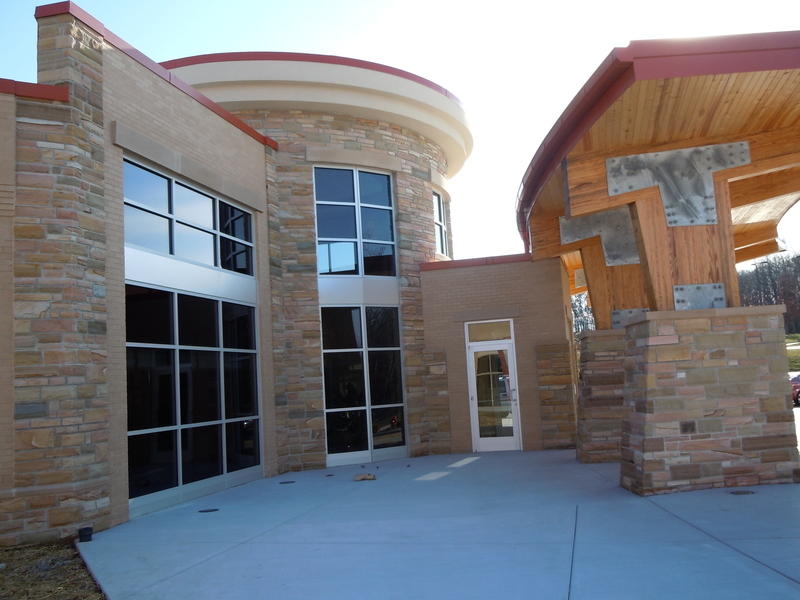 This state of the art medical facility used our variegated strip rubble as a wainscot-esque featured element around the building as well as at the main entrance. 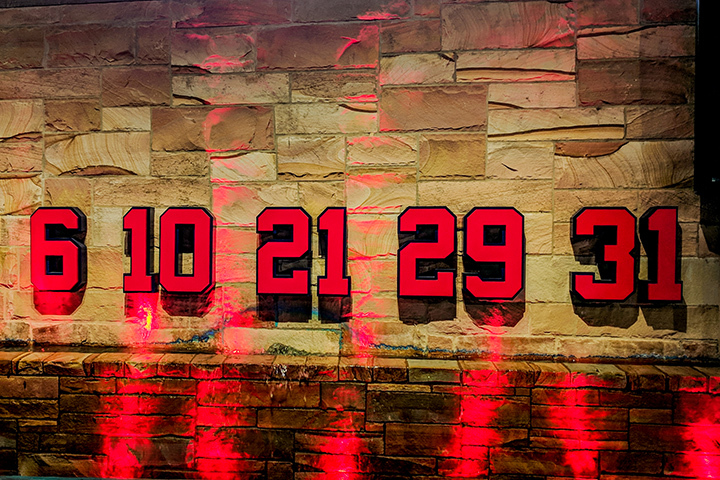 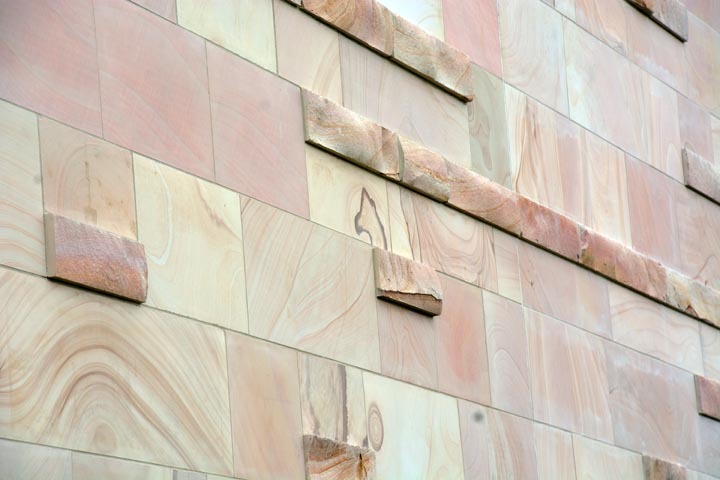 To give the split face texture, each piece was hand-chiseled on site. 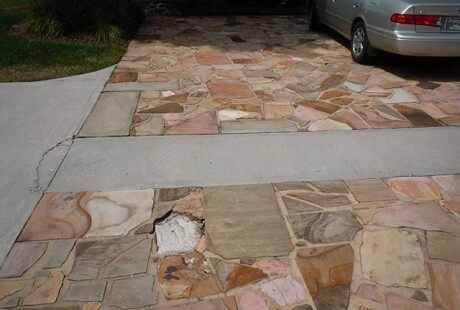 This also helped achieve the radius around the front entrance. 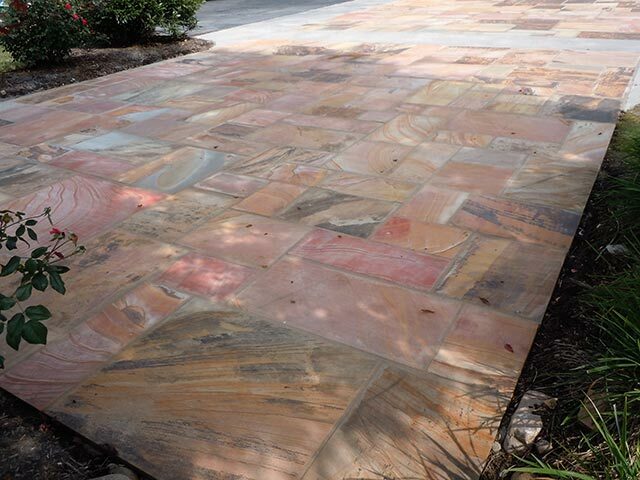 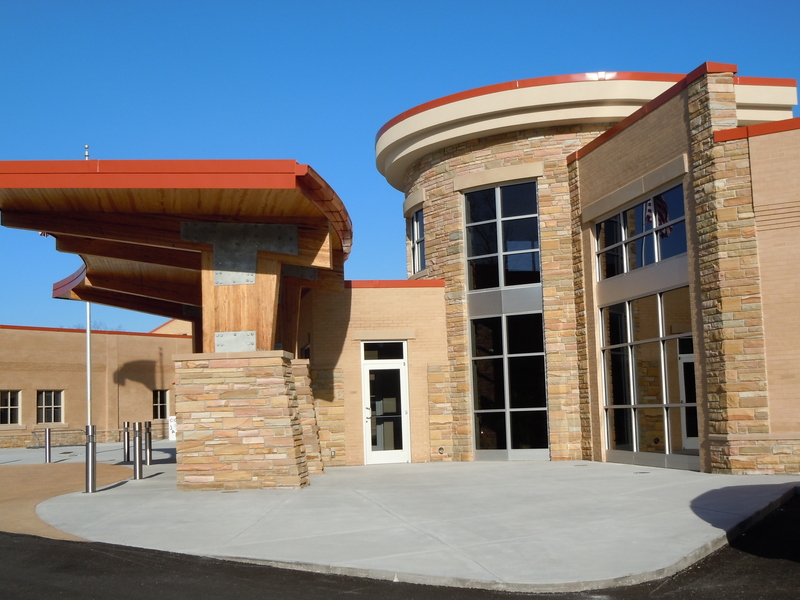 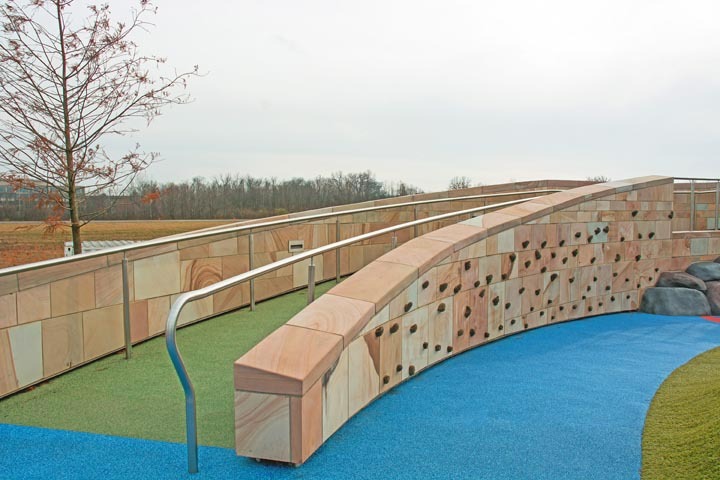 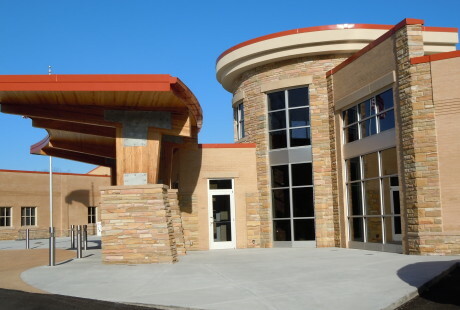 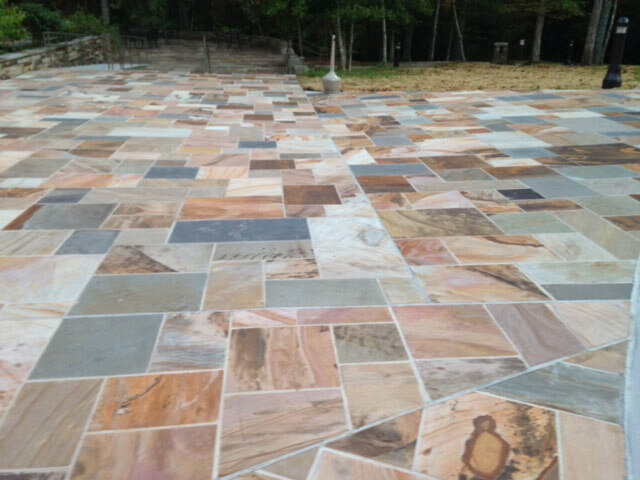 With a color spectrum of darker browns, lighter tans, buffs and pinks, the beauty of Crab Orchard stone transforms the facility into a unique installation. 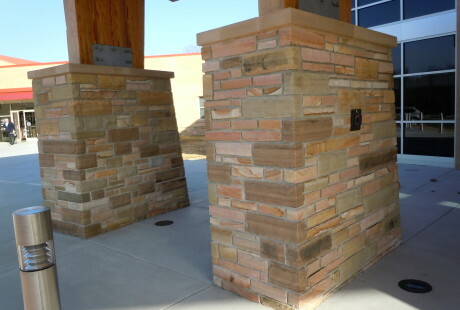 Teton Masonry, our skilled masonry division, laid out columns with three straight sides and tapered back sides, adding an extra dimension to the installation. 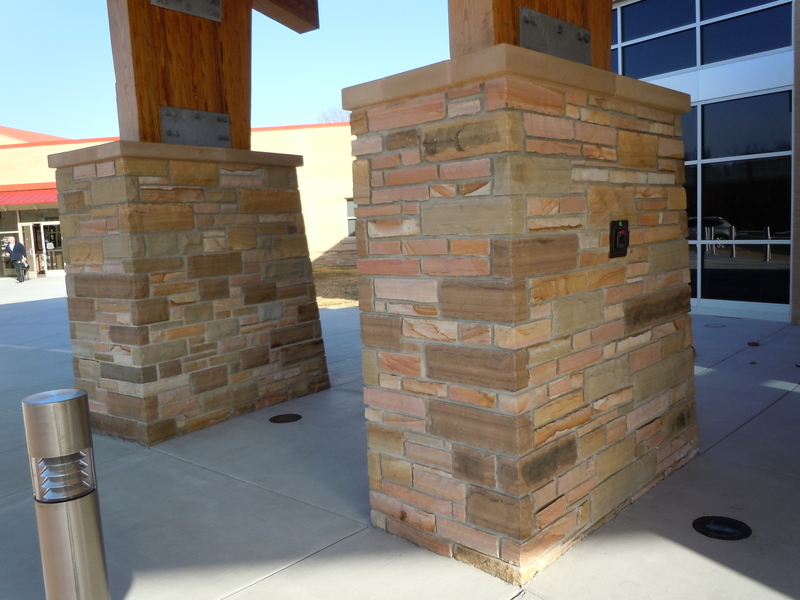 In addition to the columns, our masonry team had to put 45 degree inside corners between the pane glass windows and hand chisel the radius along the top of the entrance to the facility. 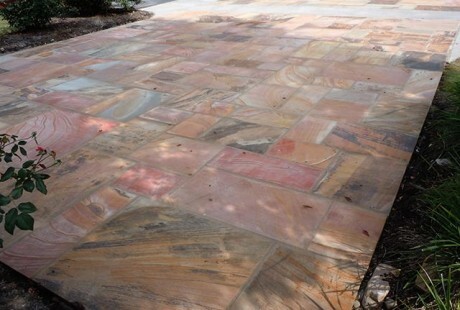 The result is a lasting beauty that will endure for decades to come. 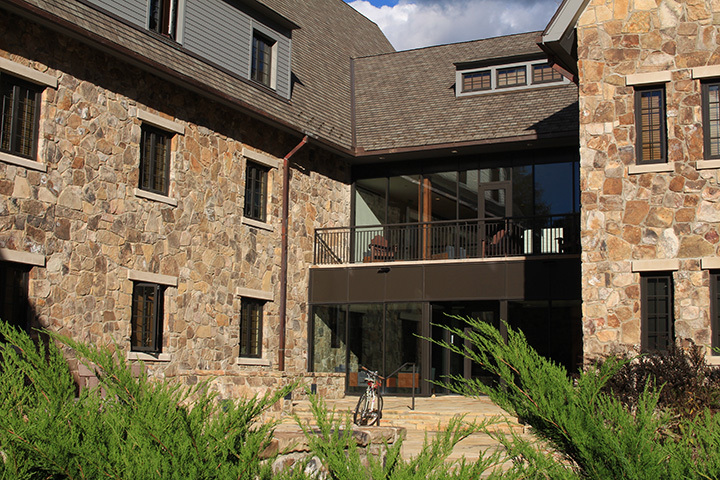 For this project, our quarry and fabrication departments teamed up with our masonry division, Teton Masonry, to turn this vinyl siding and brick paver area into an oasis of stone pattern flooring, natural stone thin veneer and custom planters and caps. 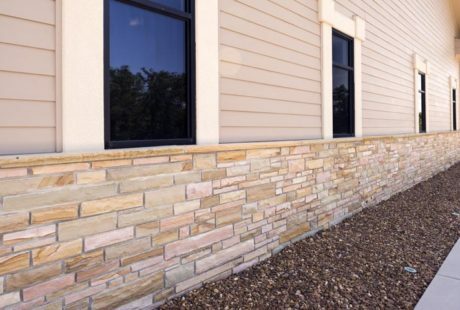 We demoed the vinyl siding and brick pavers and replaced them with our Chestnut Hill Thin Veneer with custom cut headers and our pattern cut, natural cleft flooring. 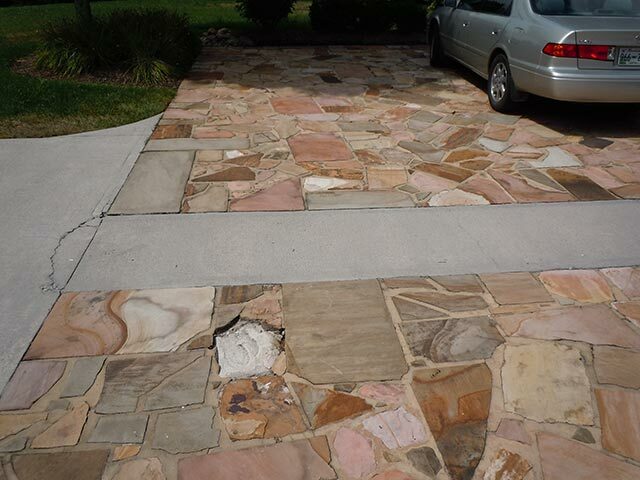 We cut out the center of the driveway and laid a stone paver accent to complete this front entrance makeover. 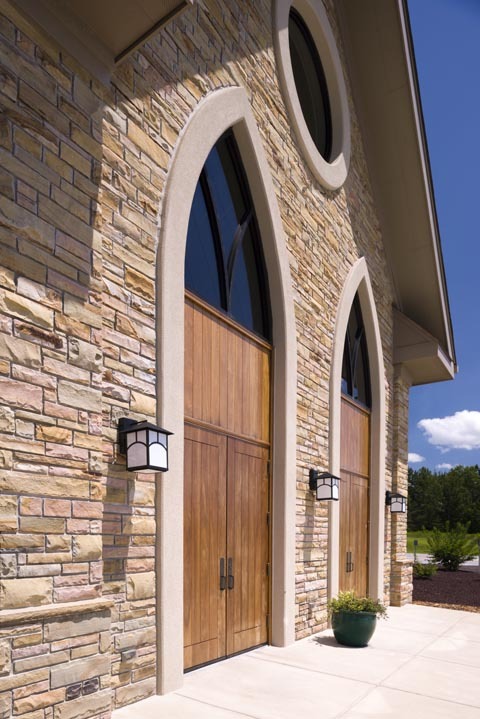 We custom laid the block for the planters and laid our Chestnut Hill Veneer on the exterior and interior where exposed and capped off the walls with our hand pitched sawn cap. 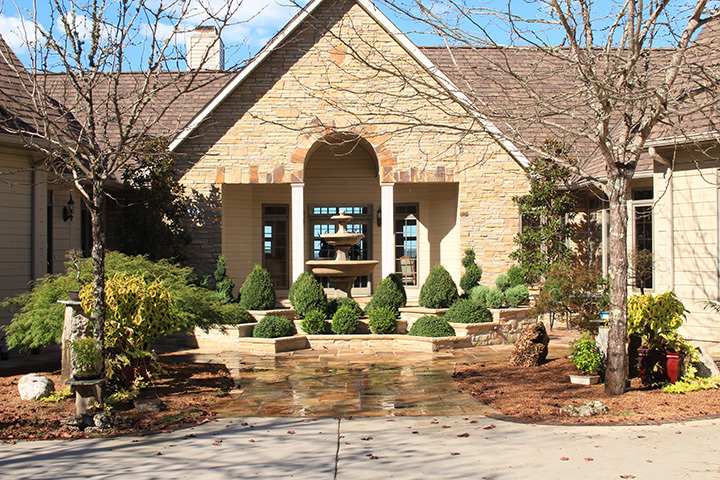 A beautiful accent to this amazing home makeover. 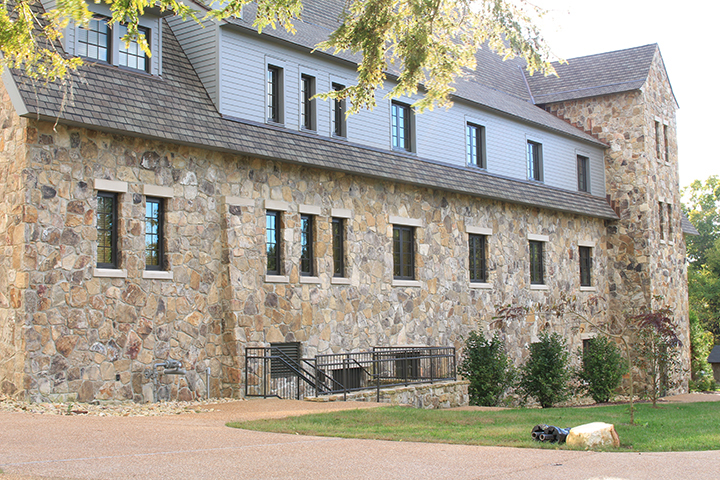 This new residence hall at the University of the South contained more than 25,000 square feet of our medium veneer irregular fieldstone. 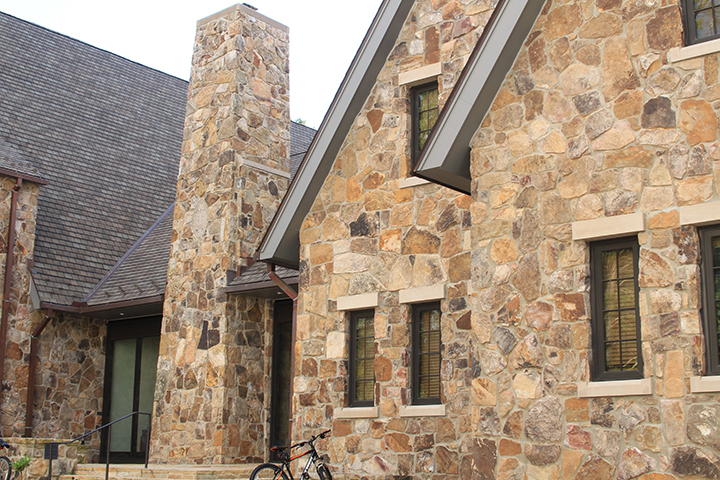 The weathered irregular fieldstone provided an old style, castle like appearance, complete with a more than 50 foot tall chimney. 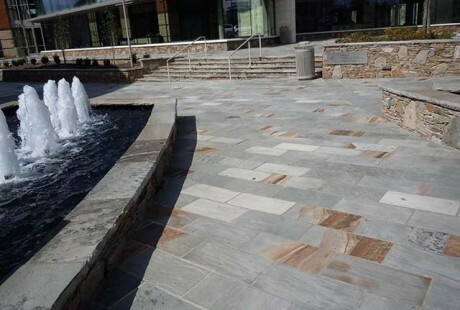 The fieldstone color ranges include brown, tan, buff, gray and black to give this project a natural and timeless appeal. 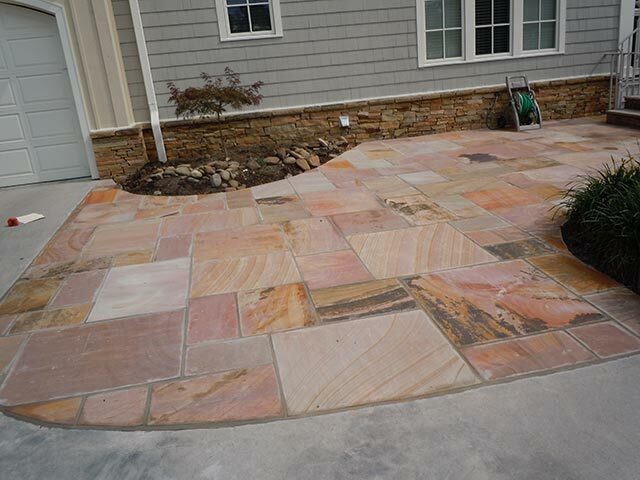 We also provided more than 7000 square feet of our chestnut flagstone and step treads. 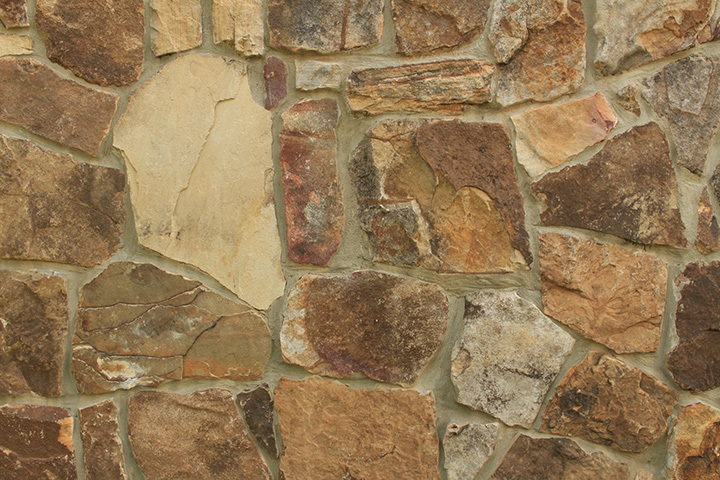 The lighter tan and buff colors provided a nice contrast to the weathered rustic look of the fieldstone. 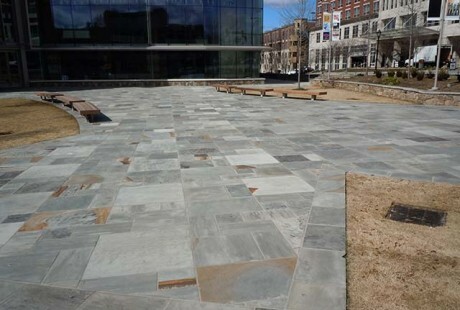 Located in the heart of downtown Greenville, South Carolina, The Peace Center hosts hundreds of performance art events each year. 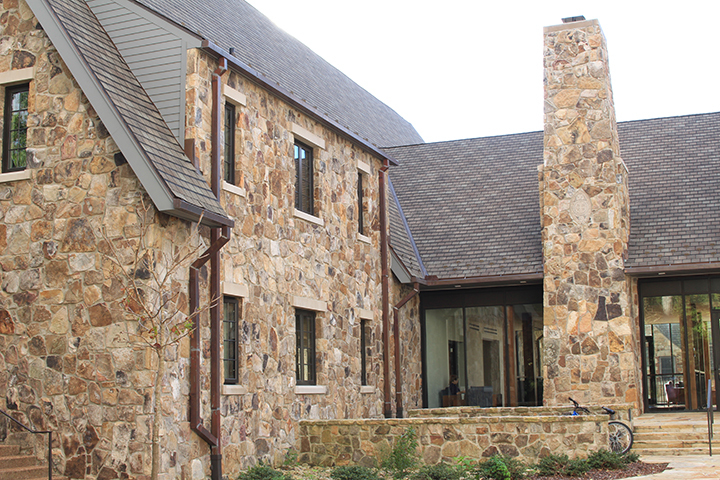 For this breathtaking renovation project, we supplied more than 20,000 square feet of our Tennessee Blue/Gray Stone. 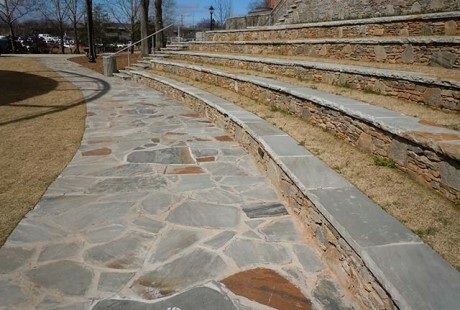 Silvara Stone was used for all the wall caps, step treads and pavers. 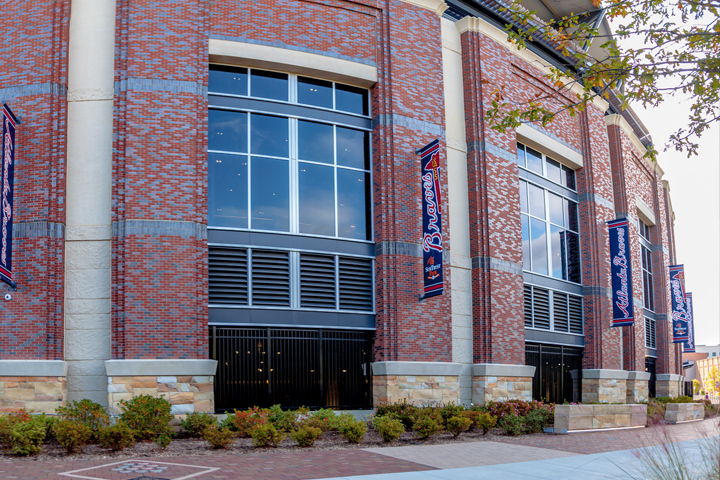 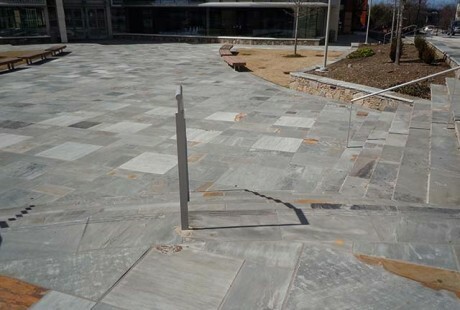 The entrance off of Main Street includes a beautiful pattern of offset 12×24″ pavers. 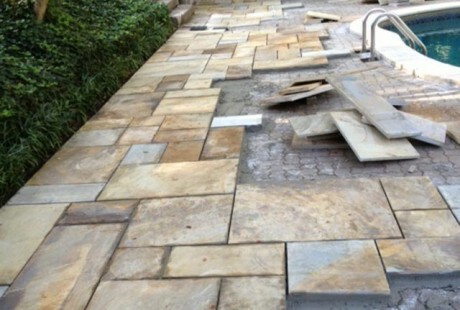 To ensure the project was one-of-a-kind, a unique blend of light and dark grays were used, with splashes of earth tones for highlights. 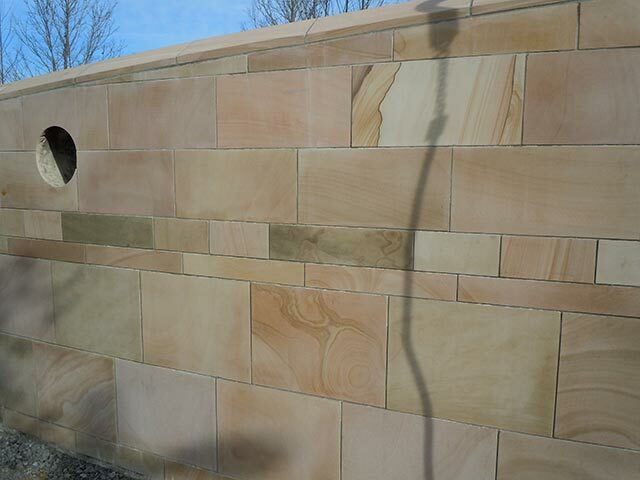 Every piece of stone was hand and/or machine cut and installed in a pattern. 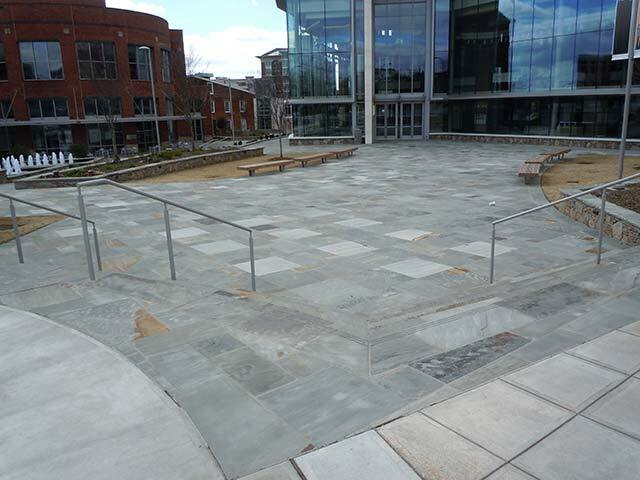 The cap stone, pavers and step treads can all be seen together here, as well as a view from the corner of Main Street. 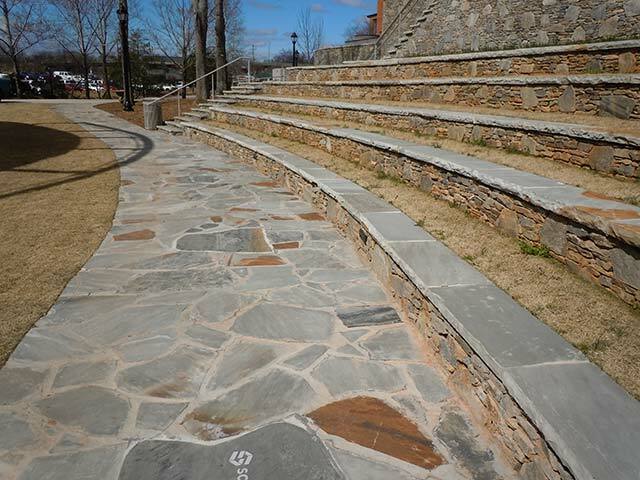 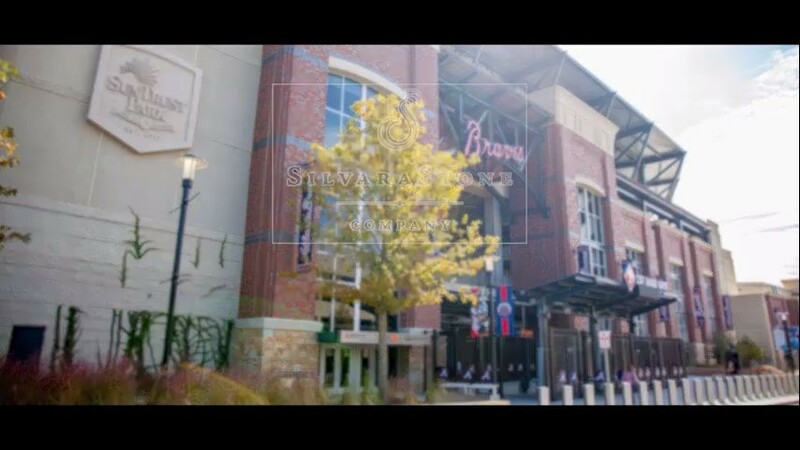 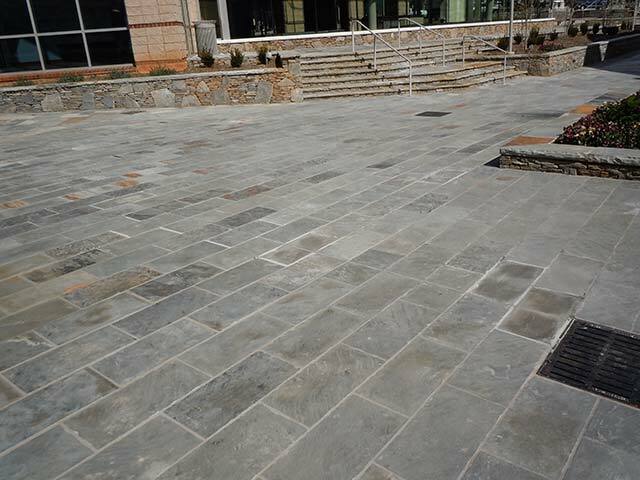 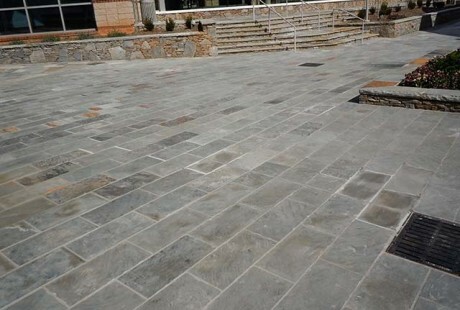 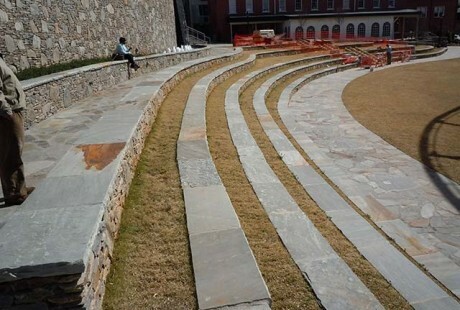 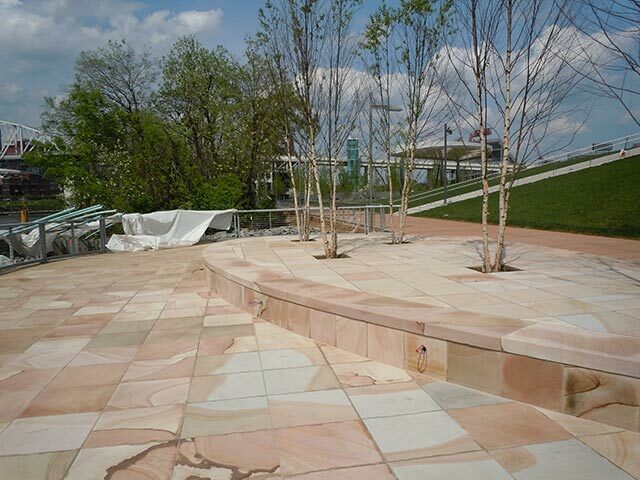 More than 7,000 square feet of walkways and patios were laid with our irregular gray flagstone, while our hand-pitched cap stone provide a beautiful, natural seating for the outdoor amphitheater. 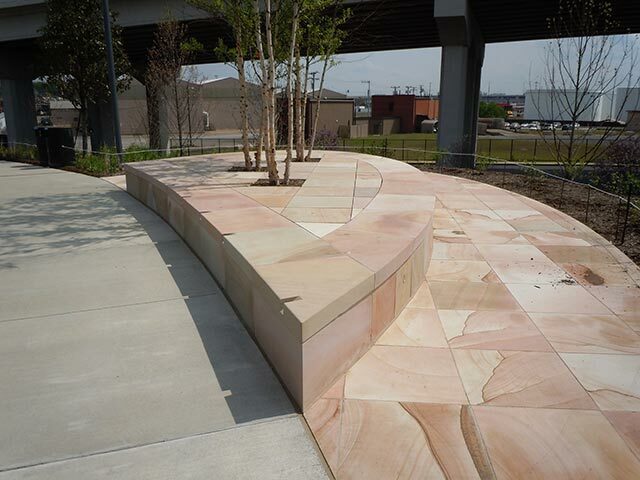 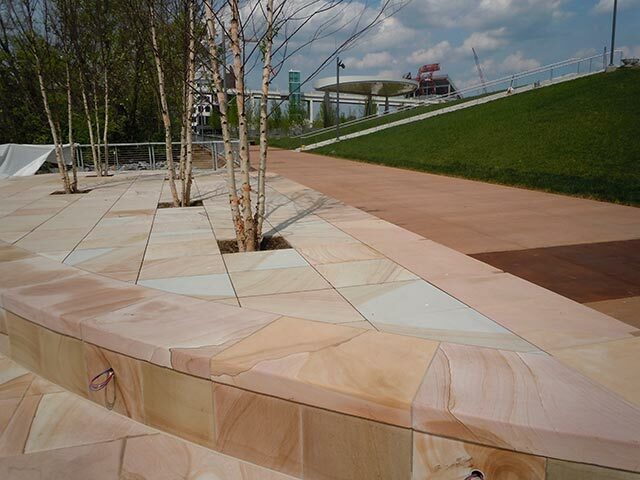 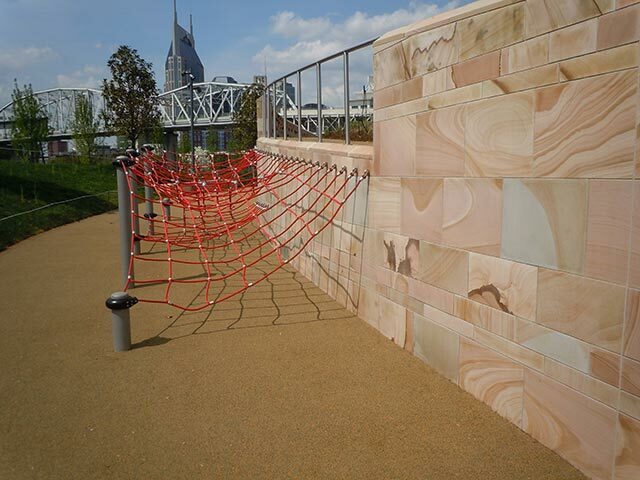 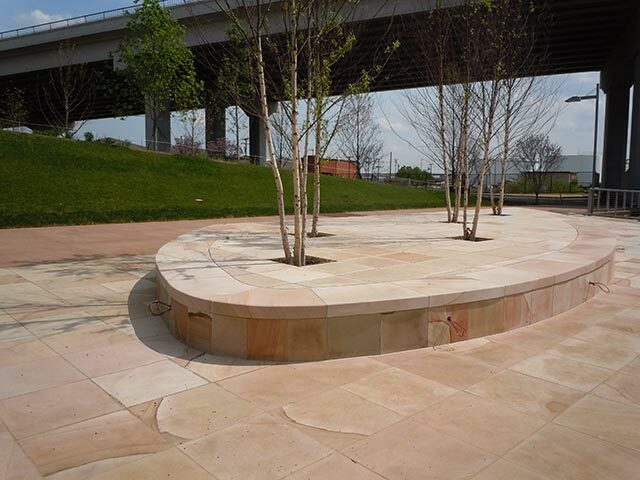 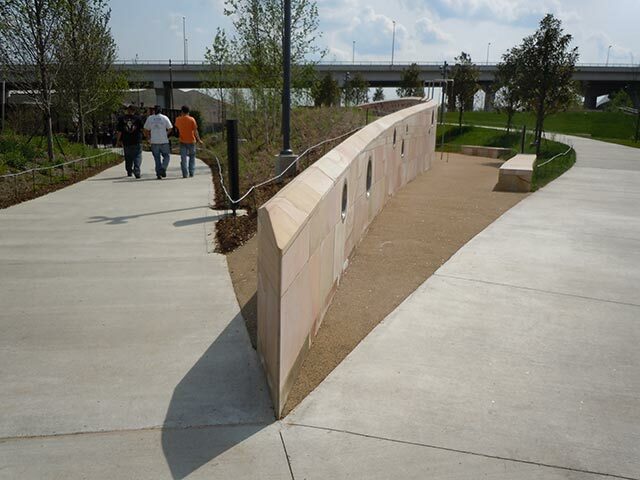 Metro Parks of Nashville and their architects, Hargreaves Associates, needed a stone that would stand out at their new Park. 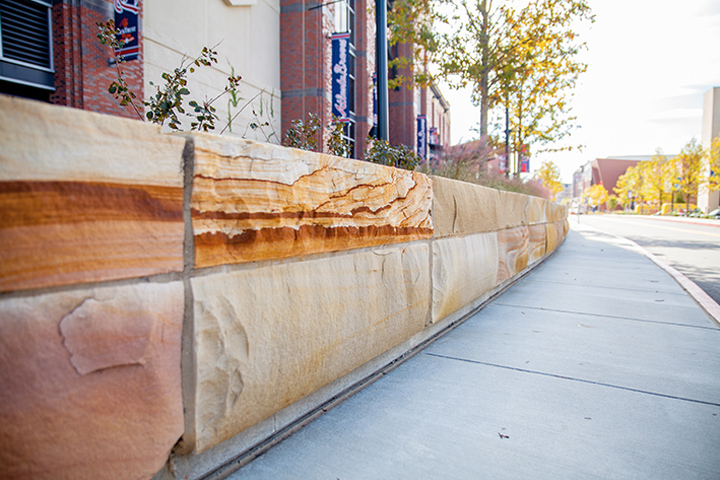 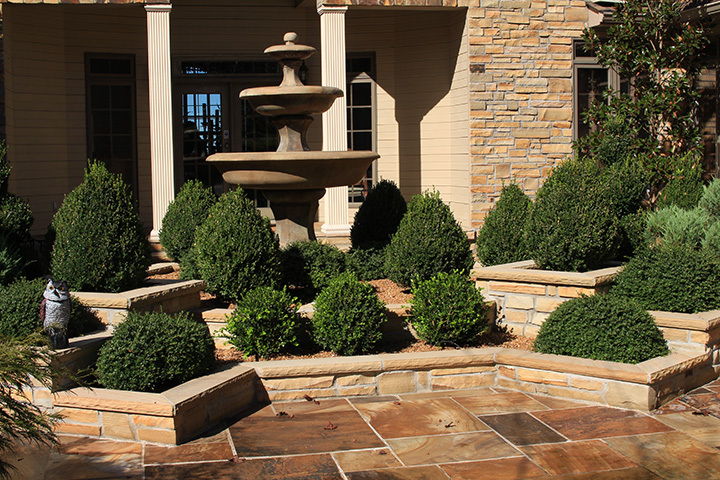 Our sawed surface stone was selected because of its unmatched beauty, color and character. 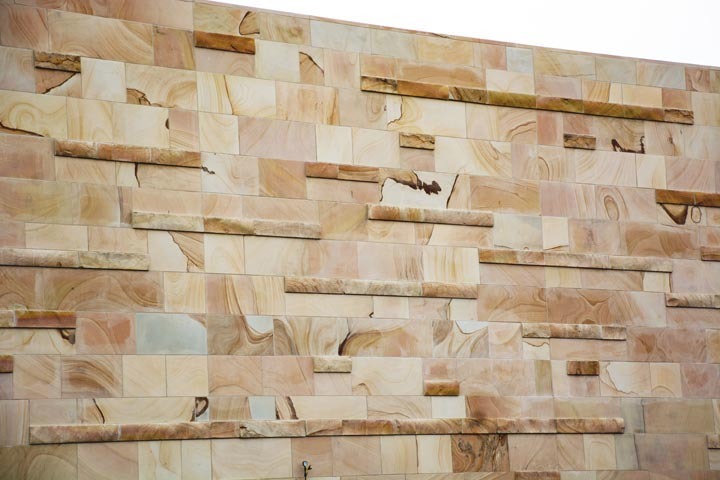 Our professional and experienced team of stone cutters were able to fabricate every piece to the specific detail required for the project. 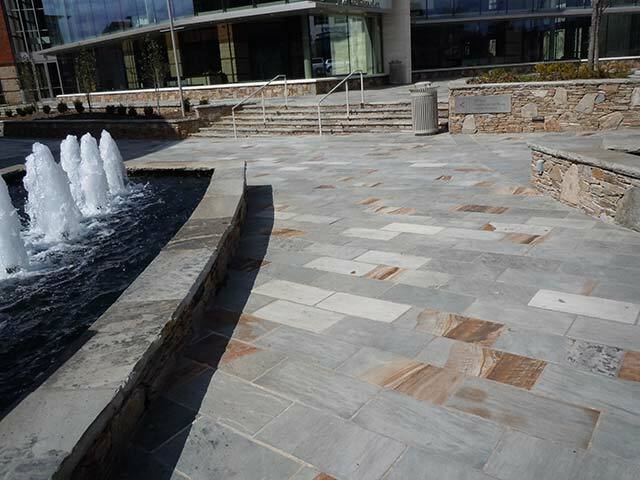 Hardaway Construction was the general contractor on the project and Valley Crest Landscape Development did an incredible job with the stone installation. 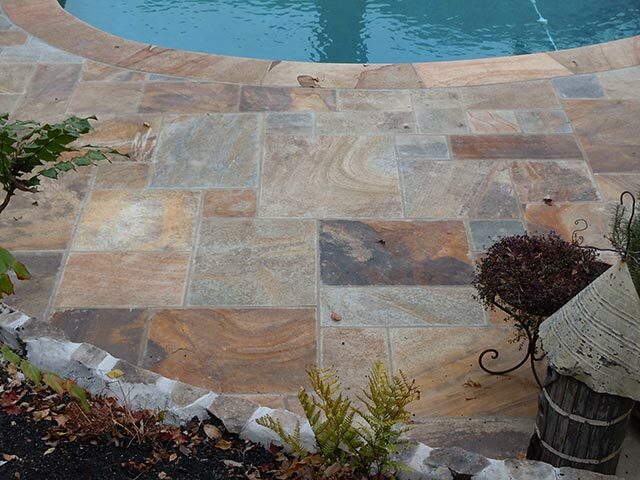 Silvara Stone was chosen because of our 50+ years of experience with this type of detailed, high profile project. 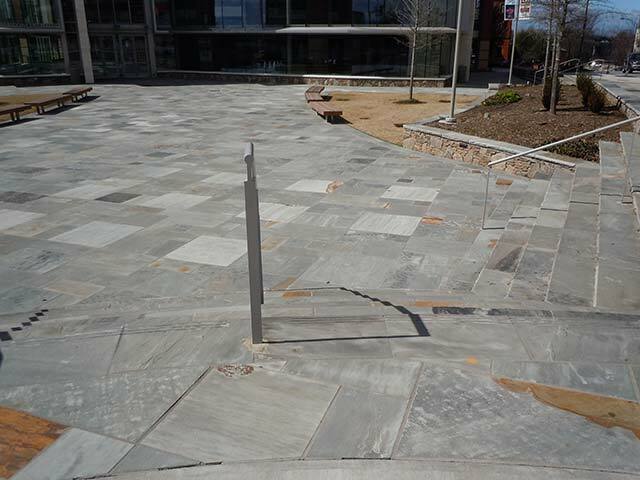 Every Radius, every cut, every angle had to be spot on for this to come together. 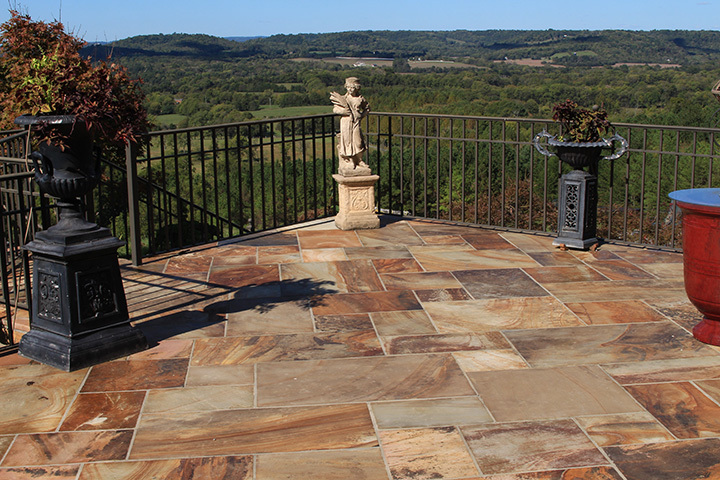 More than 1500 tons of raw material was quarried and fabricated to complete this project, and more than 10,000 square feet of our Crab Orchard Stone was installed. 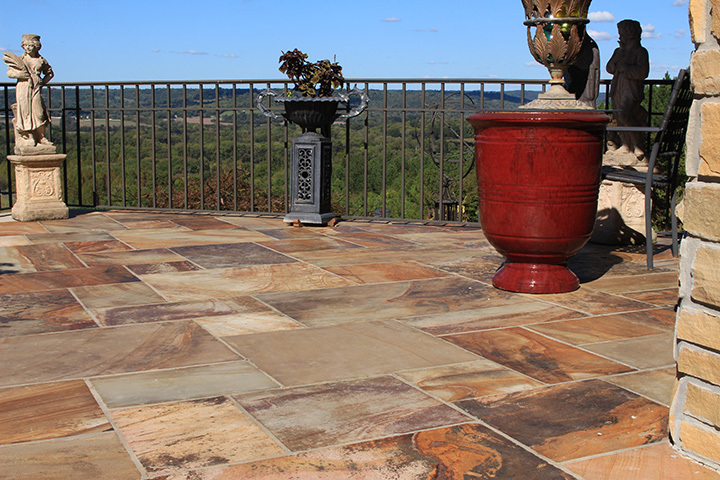 As you can see, there is nothing in the earth that can match the beauty and character of our sawed Crab Orchard stone. 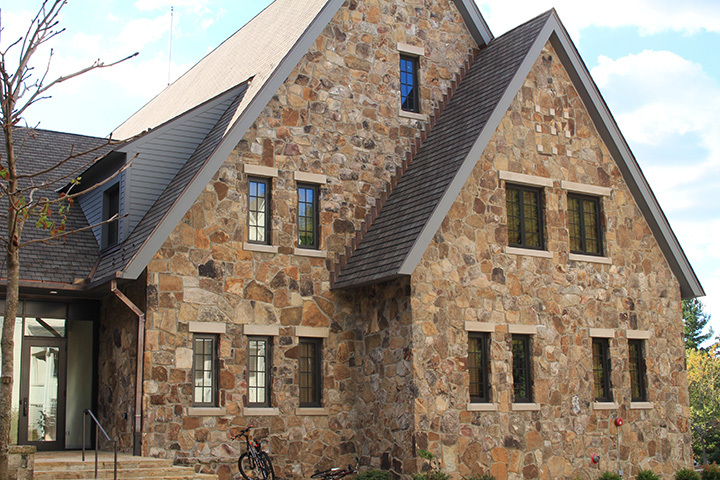 This restoration project was designed by our experienced stone professionals and executed by the masonry professionals of our sister company, Teton Masonry. 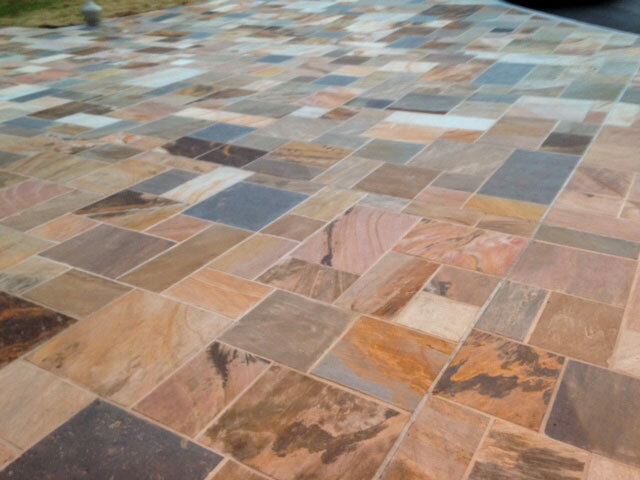 The walkway was completely demolished and we reinstalled our variegated natural cleft pattern flooring. 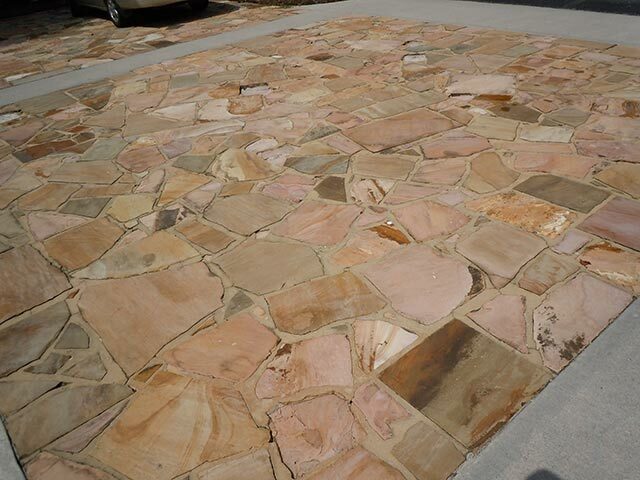 The driveway stone was also completely demolished and reinstalled using our variegated natural cleft pattern flooring. 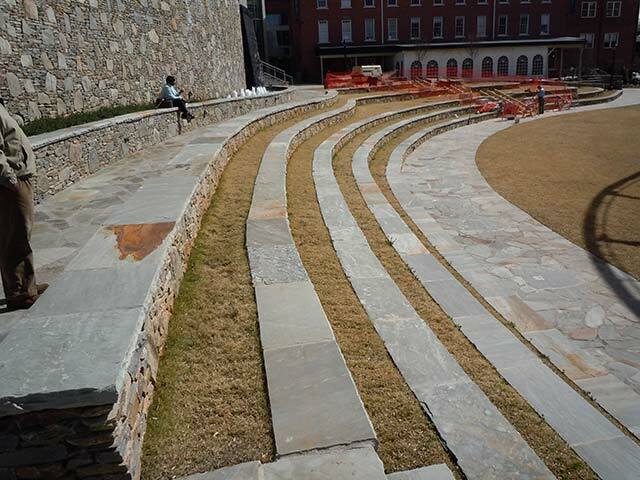 We replaced all of the capstone and step treads and repaired the dry stack wall. 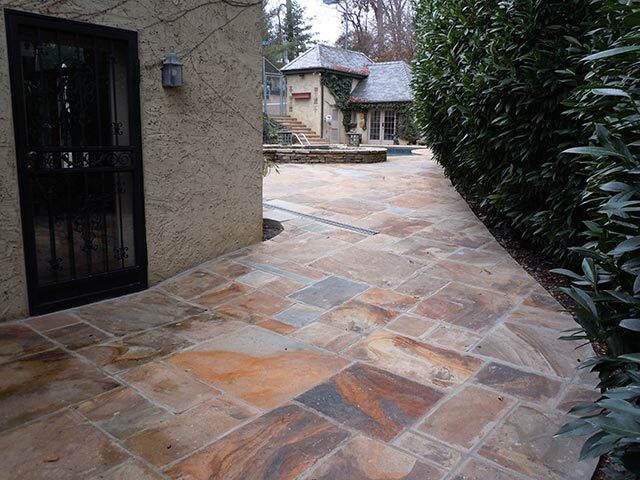 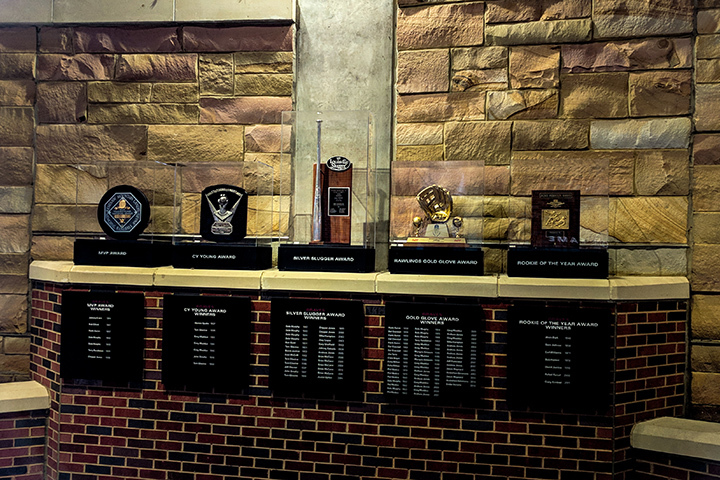 This was an extreme makeover-stone edition! 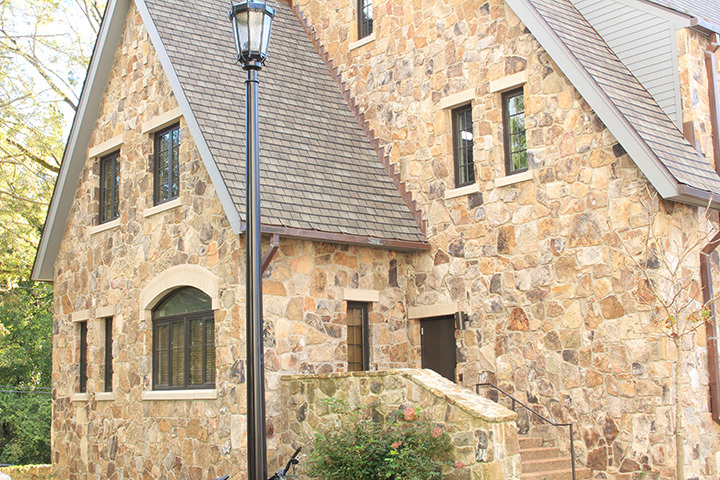 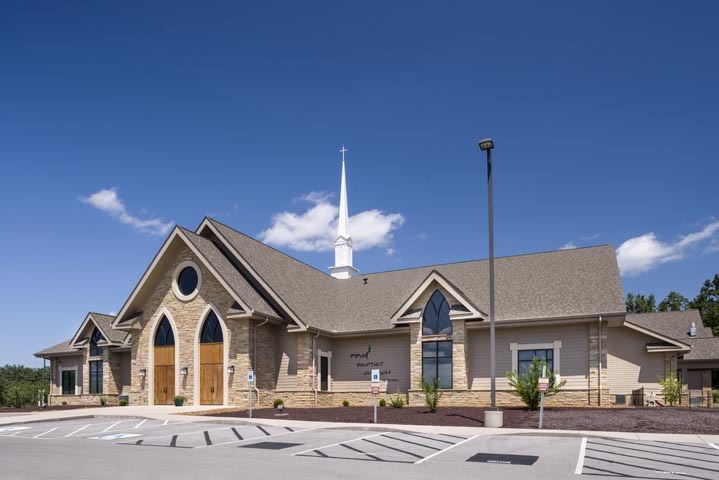 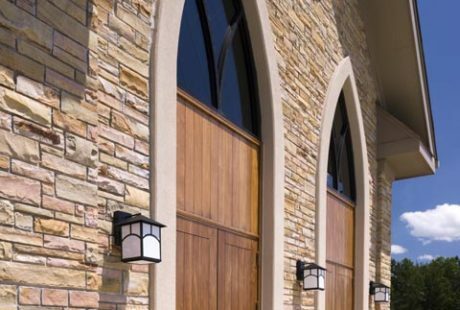 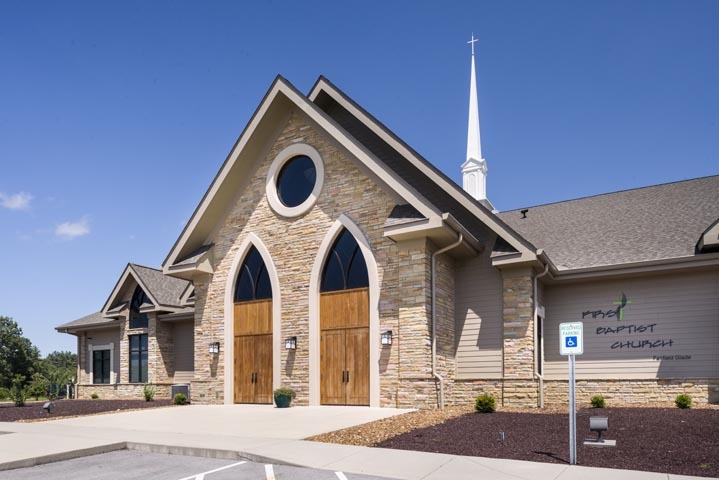 One of our signature stone styles, strip rubble stone, was selected for this church project right here in our hometown of Crossville, Tennessee. 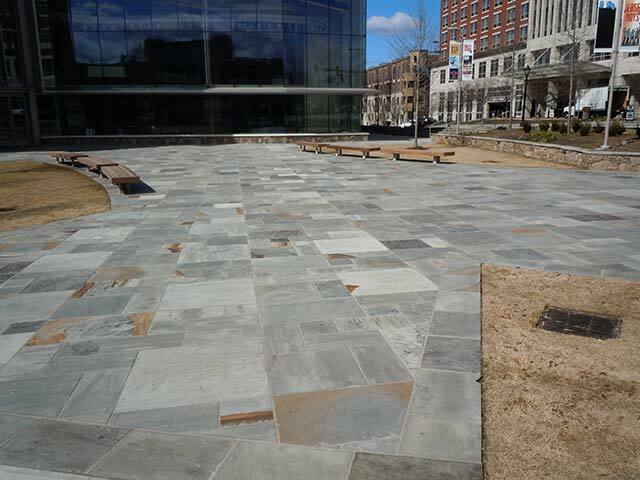 More than 200 tons of stone was fabricated to cover 8,000 square feet of stone installed. 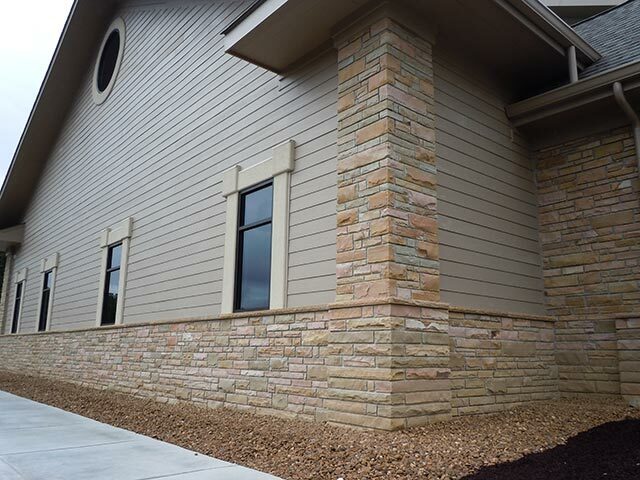 We bumped out every corner and column by fabricating 8″ bed depth stone instead of 4″. 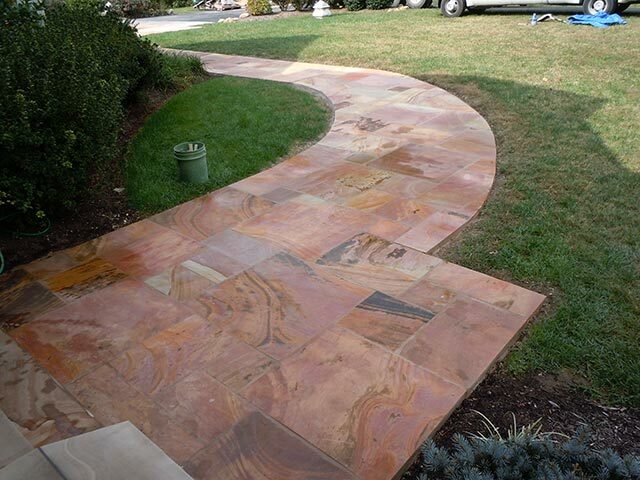 This revealed nice contrast and character. 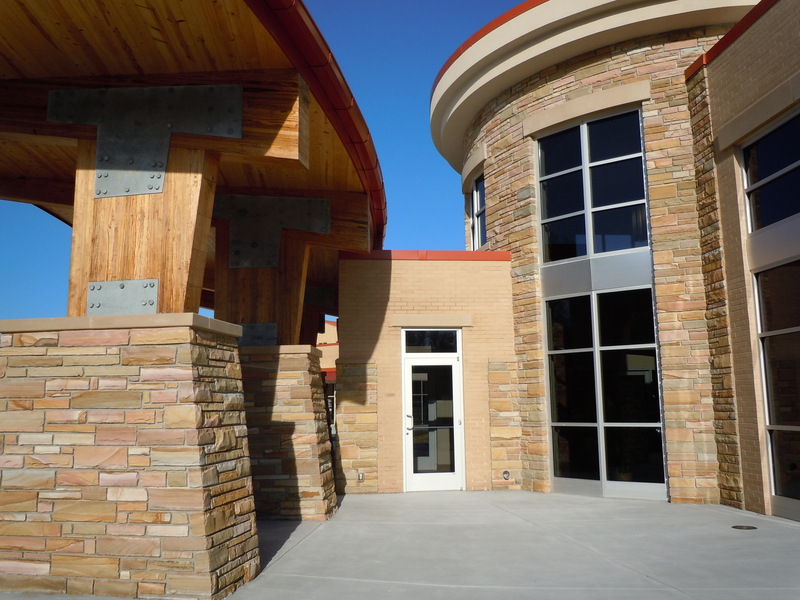 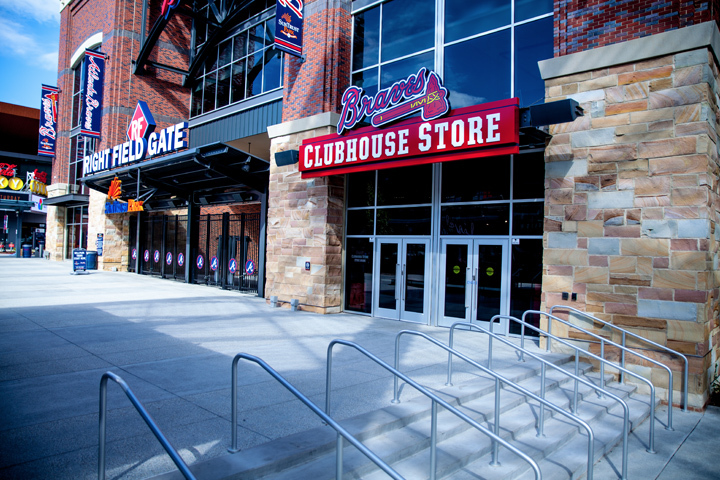 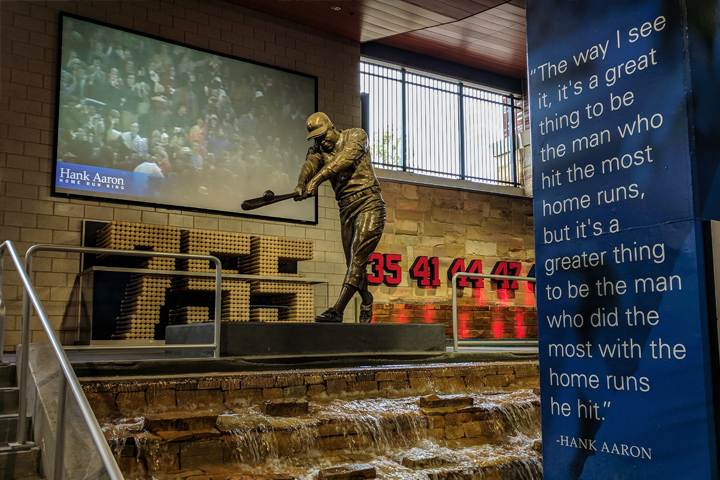 Our masonry team did an amazing job handling all the “curve balls” a large and detailed project like this can throw at you. 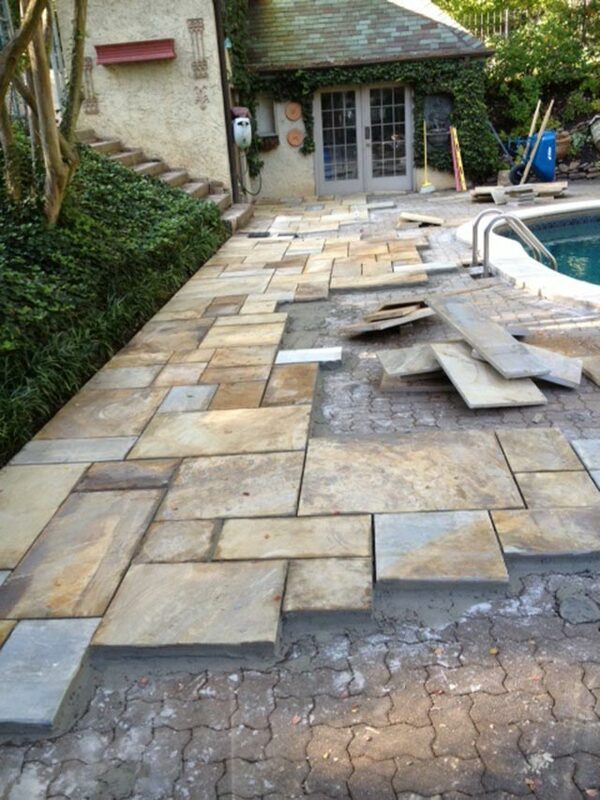 We finished on time and with rave reviews. 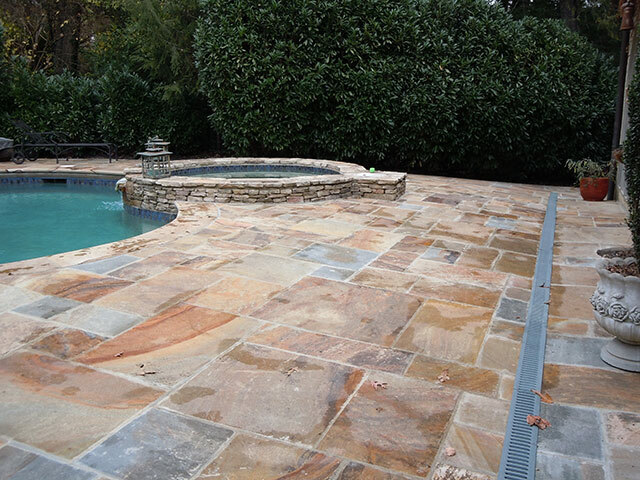 This pool project was dreamt up by our team of professionals and the homeowners, and was executed by our talented masonry crew. 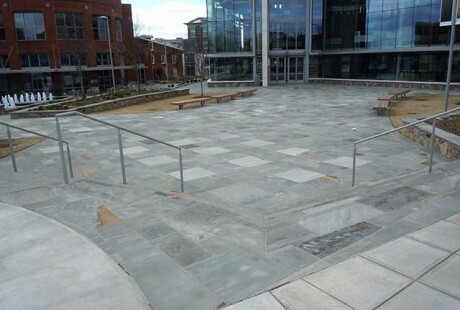 We laid the stone right over the top of the existing, unattractive concrete pavers. 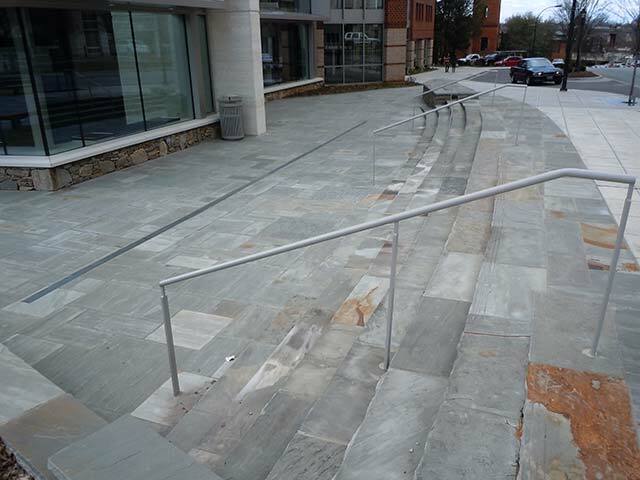 Our experience and creativity allowed us to trouble shoot the elevations around the doors and the drains. 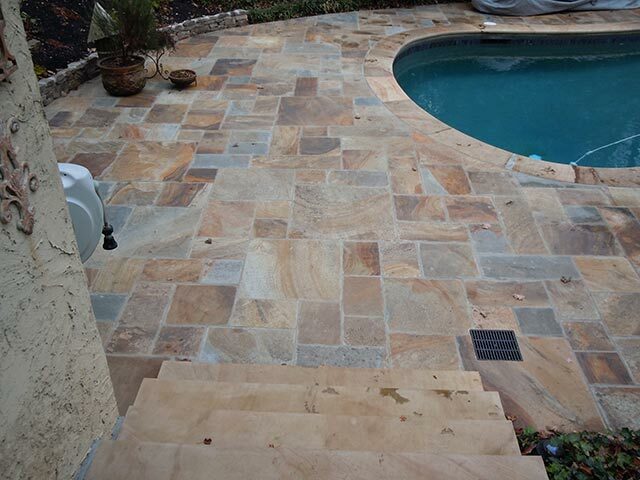 We fabricated our radius, bullnose pool coping and step treads, then overlaid them on the concrete. 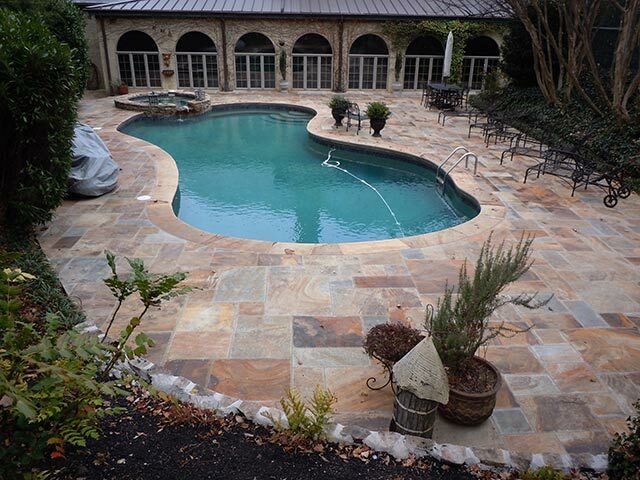 This was an extreme stone makeover-pool edition!